Remember when we used to go to restaurants and the waiter would hand us a short questionnaire while paying the bill? This would usually be titled something like ‘Tell Us How We Are Doing?’ Simple and old school methods like these can still be the best customer feedback tools in present times. They may be slightly inefficient, but asking the customer directly can be organized and structured by your brand itself. These are easy and low cost methods to get feedback from customers. Today, you can use free or cheap online survey tools and you might have already been using some software programs for your emails and CRM. You will need some kind of method to get email addresses of customers so that they can access the survey online. Do ensure that you make it easy for your customers and they don’t have to spend too much time or effort on it. The language should be clear, concise, and should be aligned with customer’s goals, demographics etc. Questions must not be leading; they should be specific and should bring out honest opinion of the survey takers. Avoid questions that bias the customer or ask him/her to change their mind. There is a large section of the population that is not too comfortable taking surveys online. Phone surveys are immediate and certain demographics are quite comfortable answering live calls. Often people are too busy to click links and fill out or select radio buttons. With phone surveys, you can quickly get customers to answer specific questions. 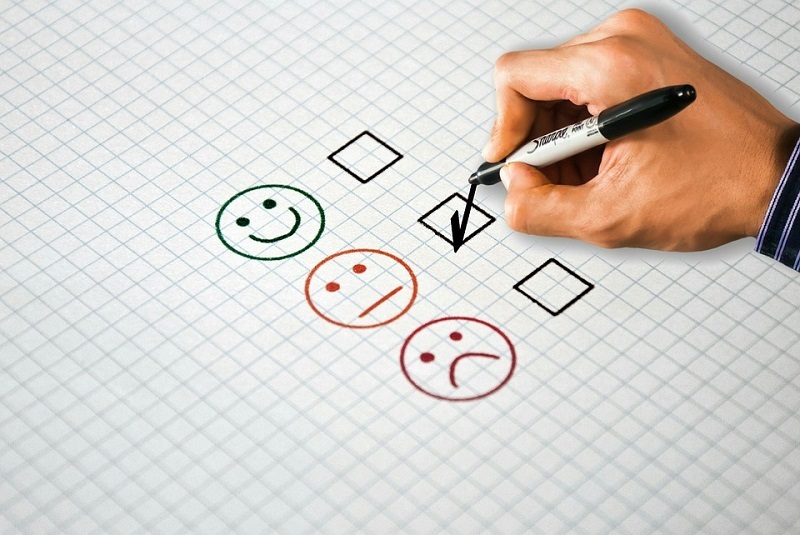 Naturally, like online surveys, phone surveys should be clear, unbiased, and concise and must not steer the survey takers into a particular direction. Small organizations must ensure that the phone surveys are conducted by someone who is not known by the customer. These are not too different from the old-school way of collecting customer feedback like the ‘Tell Us How We’re Doing’ cards mentioned in point number 1 above. Comment cards are ideal customer feedback tools for restaurants, spas, salons, retail stores and so on. They can be easily inserted with your bill or invoice that you hand over to the customer. Just make sure they are short and sweet. To make them more effective, the comment cards should use minimum wording and few questions. You can always provide a longer section for detailed comments at the bottom of the comment card. Large organizations often invite formal focus groups for audio-video recordings and observation through two-way mirrors. These can end up being costly. Instead, opt for less formal discussion where you invite a small group of customers and have a discussion about your products and services. If possible, invite a moderator to head the discussion-s/he should be someone who knows your business and can ask the right questions without influencing the customers’ decision in any way. This is a creative and effective way to gather customer feedback. Naturally, you might want to take down notes about the feedback and discussion to ensure accurate representation of the customer feedback. Instagram, Facebook, Twitter and certain blogs are also some of the best places to gather customer feedback. You can also go to sites like Yelp, Google Places, City Search, Trip Advisor etc to see what customers are saying about you. These are passive ways of acquiring feedback in that; you only play the role of a listener and see what customers are discussing about you. Some sites allow you to respond to the feedback. You can also ask questions on these forums but the key is to be transparent about who you are and what you are looking to achieve. It is also crucial to not get defensive if you receive negative comments. In fact; you should follow up with positive comments and changes to correct issues that have been raised. This is also a crucial aspect of getting customer feedback. Internal teams include people you work with such as your purchasing teams, sales team, logistic teams etc. They may be depending on you to complete their tasks and do their jobs effectively. This feedback can help you know what your customers mean in their feedback. Email your customers and ask them to fill up survey questionnaire or simply answer a few questions about your product or service. This is the easiest way these days to get feedback from customers. Email surveys are especially beneficial for new customers. If your customers unsubscribe from email lists, ask them for feedback on why they are leaving, whether you should send fewer emails or other ways you can improve. A live chat feature will help you talk to your customers, gather requirement and even solicit feedback easily. There needs to be some dedicated person to monitor these live chats. These are straightforward ways to get customer feedback and help customers discuss grievances or praise directly on your website. On the downside, this method could be abused as Email addresses are susceptible to hackers and your site can also get spam comments. As soon as your customer has ordered something, get a feedback about how their experience was. This is an important way for retailers to get crucial information about the website and show areas where they need improvement. Getting feedback on cart abandonment can also help you understand why customer did not buy certain products or reasons why s/he deleted the items. Asking customer to give feedback can sometimes become easier if you offer them some loyalty or reward points. For example, a salon could offer haircuts at 50% if a customer agrees to give a review on their social media or fill up questionnaire. Feedback is an important way of understanding what your customers feel about you. Naturally, simply getting feedback is not enough-you also need to work on the feedback and use it constructively. It is particularly important to use the feedback positively and make improvements in areas you may be lacking.